We hosted our second annual murder mystery dinner party for our church young adult group on Saturday evening. Last year we created an ‘80s prom, but this year’s rendition was superhero-themed so I went to the dark side and attended as Lex Luthor since all I had to do was put on a suit and buy a green (kryptonite) ring pop. We had a blast. I don’t think it is the costumes that make a mystery dinner party such fun, although the costumes are pretty great—I think the fun in the whole ballgame is that it is a mystery. We don’t know “whodunit”—and we are on a quest to figure it out. There is a reason we read mystery novels and watch mystery movies and television shows. There is simply something compelling about mystery. Which is a little misleading because we really want to “know” the answer, right? It wouldn’t have been a great party if at the end of the night we had told everyone, “Sorry, but we don’t want to call anyone an actual murderer, so let’s just forgive and forget and move on with life, okay?” No, the compelling part of a mystery is that there is an ultimate answer. As I grow older I am less drawn toward the need to know everything and more inclined to enjoy the journey inside the ever-evolving mystery of life. Welcome to life—that long mystery dinner party. A friend introduced me to the music of Johnny Clegg several years ago, and I am eternally grateful. Clegg’s official website describes him as a “dancer, anthropologist, singer, songwriter, academic, activist and French knight” and that he “campaigned against the injustice of apartheid South Africa and been instrumental in putting the new South Africa on the map as a cultural ambassador.” Pretty cool, right? Clegg performed at Pepperdine last weekend, and one of my favorite moments in the concert came when Clegg referred to Nelson Mandela’s world-changing endurance to introduce the song “Your Time Will Come.” Clegg said Mandela taught us that to live with such patience you must believe that everything will be alright in the end, and if it isn’t, then it isn’t the end. You were lying, do not tell lies. so that I would give up my faith and hope. No can do! We will never relinquish our faith. It’s just when this will be, we cannot know. Everything will come right, I tell you friend. Do not throw away your hope. I say to you child of my aunt, you have caused me great fear. It will be all right my friend, I’m telling you. we will hold it together. Don’t listen to the lies of my compatriot. Change my history — so keep on dreaming. — just ease it along. 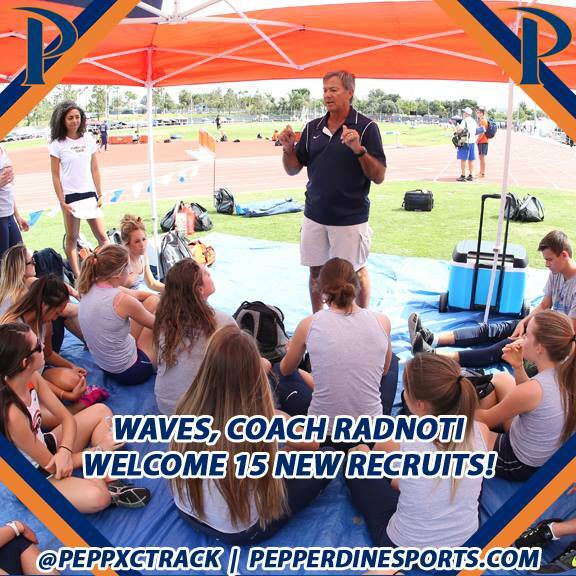 I have a new side gig as team chaplain for the Pepperdine Cross Country team. Go Waves! My friend, “Coach Rad,” graciously offered the opportunity to join the team at an early morning practice each week to share a five-minute devotional message. I like both running and talking, so I feel confident that my messages will live up to the compensation package (as a volunteer). This week, I shared my suspicion that the team was an ordinary cross-section of humanity so that some of the athletes appreciated a devotional message at dawn while others were ambivalent but would kindly listen and still others wished that I would go to the wrong practice location. Regardless, faith, religion, etc. is an historic attempt to develop a framework for meaning in life. From births to deaths and all the in-between major moments in our lives, we have an inherent need to make some sense of it all, so even if my morning devotionals fall flat as a running track, deep consideration of meaning in life is worth the trouble. I then shared the foundational-yet-downright-disturbing Bible story of Cain and Abel. Geographers cite the domestication of plants and animals as the launch of civilization, and Cain and Abel represent this great beginning. In the story, one of the brothers (Abel) pleased God while the other brother (Cain) did not, so guess which one bled out in a field at the hands of his brother? Yeah, I guessed wrong the first time, too. The Bible’s editorial department could have used some marketing experts at least in the first few pages. But here we are, trying to make sense of it all, realizing from an early age that sometimes the bad actors win while the good folks get the shaft. Welcome to life as we know it. Instead of filing a formal complaint with the Fairness in Life Committee that never seems to respond in a timely manner, the necessary question shifts from How do I always win? (which I voted for but apparently is not on the menu) to What is worth living for? (which is on the menu). Or, maybe better stated in the negative: What is worth dying for? You may remember from middle school the wonderful book by Lois Lowry, The Giver, a compelling science-fictiony story that challenges our assumption that a pain-free world is best after all. Nobody without a masochistic personality disorder prefers pain, but a well-formed framework for meaning in life allows one to endure it when it comes—and those meaning-full things are even worth the pain. These cross country runners have a pretty good handle on enduring pain for a greater goal, so I think they have a pretty good shot at getting a handle on this old life, too.